The economy’s improvement and intensive work levels in the aeronautics and automotive sectors are attracting new companies to Subcontratación, International Fair of Manufacturing Processes and Equipment. 30 % of the registered exhibitors are new participants and 11 % of companies are coming from abroad to the only fair in Spain that deals exclusively with industrial subcontracting. The fair’s marketing campaign got off to a great start thanks also to the good results of its last edition in 2015. Companies from practically the entire production chain have confirmed their attendance – mainly machining, casting, metal transformation, heat treatments, plastics, moulding and die casting firms. 83 % are subcontractors related to different manufacturing processes, while 17 % are machinery and equipment suppliers. They are all very different types of companies from different sectors but they all have one thing in common: the need to achieve a solid position in a very competitive industry that is currently undergoing a transformation process. There are many different spaces at Subcontratación, all for one purpose, conveyed by the fair’s claim: “connecting companies, optimising processes”. The fair has become a benchmark forum for advanced manufacturing, for SMEs that are looking for collaboration agreements, state-of-the-art technology and applications and meet buyers from strategic industrial sectors. There will be even more opportunities to connect companies and optimise processes, thanks to the European Subcontracting Meeting, the largest B2B platform of its kind in Spain. The main sectors and markets and subcontractors’ clients will be at this meeting, which is organised by the Chamber of Commerce of Barcelona, in collaboration with the Spanish Subcontracting and Partnership Exchange Network and Bilbao Exhibition Centre. The first day, the 6th, will be aimed at buyers from the railway, iron and steel industry, energy, electrical-electronic and machinery sectors; the second day is exclusively for the automotive industry; and the third day is for aeronautics and additive manufacturing. Overall, some 100 major European contractors are expected to attend the event. Furthermore, this year surface coatings and treatments will have their own monographic space at the fair – Polveri & ecoCoating, which will be a mixed exhibition & conference offering a full overview of this field to all companies connected to industrial manufacturing. 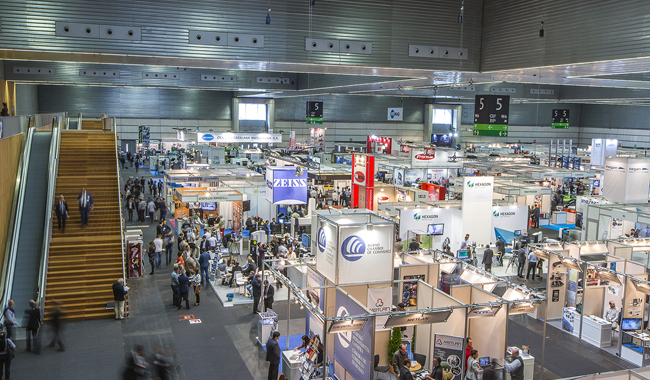 Lastly, following the structure planned in 2015, Subcontratación will be part of a much larger industrial platform that includes another five events, which will foster synergies between participating companies: ADDIT3D, International Trade Show on Additive and 3D Manufacturing; FERROFORMA, International Hardware, DIY and Industrial Supplies Fair; MAINTENANCE, Industrial Maintenance Fair; PUMPS & VALVES, International Trade Show for Pump Systems, Valves and Equipment for Industrial Processes; and FITMAQ, International Fair of Bargain & Used Machinery. 18th Subcontratación will take place from 6-8 June at Bilbao Exhibition Centre and is supported by the Spanish Chamber of Commerce, the Spanish Network of Subcontracting Pools, as well as the most outstanding clusters and sectorial associations.